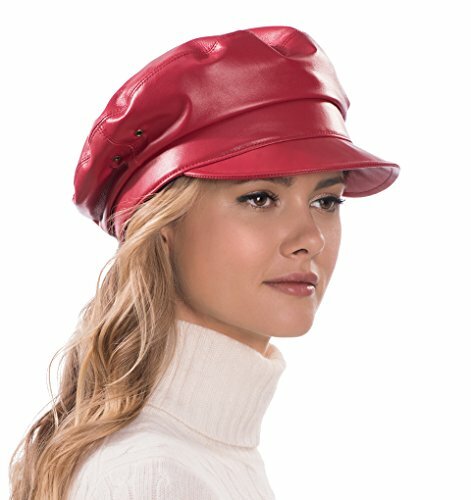 Eric Javits Luxury Fashion Designer Women's Headwear Hat - Night Porter Leather - Red by Eric Javits at Laurenee Lifestyle. Hurry! Limited time offer. Offer valid only while supplies last. Italian lamb leather cap. Fully lined. Adjustable head size. Made In USA of imported materials. Italian lamb leather cap. Fully lined. Adjustable head size. Made In USA of imported materials. Packable.